Use real baby socks adds to the realism of your baby. Two pairs of socks! Fits size 19" - 22"
Baby feet vary in size and width making it hard to find a pair of socks that really look good and fit well. 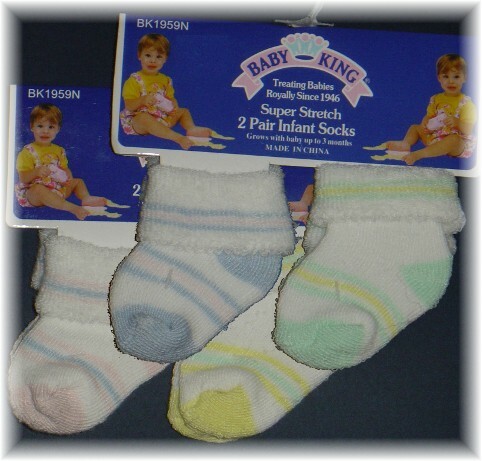 These Super Stretch Infant Socks are real baby socks and will easily stretch when used on bigger feet. Use real baby socks adds to the realism of your baby.